The I-Pro Mechanical range has innovative and distinct features. 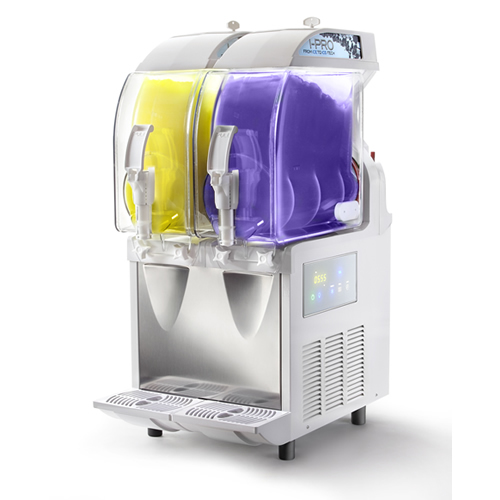 The introduction of the i-TankTM technology and LED cold lighting distinguish it from the traditional slush machine. Autofill capability allows the bowls to remain full at all times making the product in the unit look attractive and invites impulse sales. Acoustic and visual indicators when product is empty or water supply shut off. 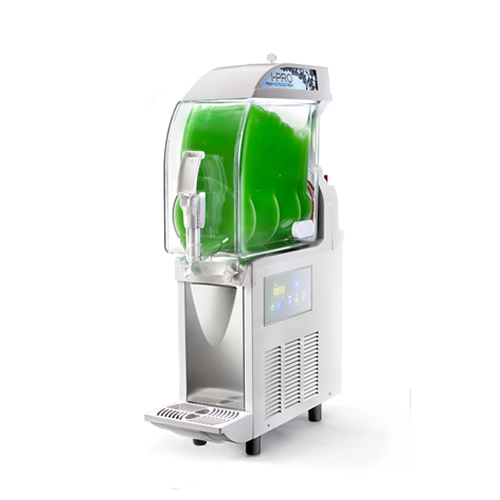 The most advanced slush machine in the world. An absolute innovation by SPM Drink Systems. These machines are unique in design and deliver superior performance. The exclusive insulated bowls powered by i-TankTM technology minimises the influence of external temperature, increases the cooling power and enhances product consistency. It reduces condensation on the outer bowl enhancing the product attractiveness. The i-TankTM coupled with the electronic control system on the I-Pro Electronic range assures optimum performance and energy efficiency. The I-Pro range is ideal for convenience stores, bars, fast-food chains, kiosks, restaurants, hotels etc. All models are available with autofill systems (premix and postmix).